I'm happy to announce two changes to the moderation team this evening! 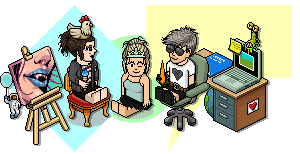 Firstly.... the lovely @James; has joined us as a forum mod! Someone who's been trying to join the team for YEARS now we have finally given him a chance I'm looking forward to working with him on the team to bring some fab new changes to the forum! Secondly, I'd like to welcome @Sloths; to her new role as Super Moderator! She'll be working with me to deliver some of the fantastic competitions and changes in the works as well as oversee everything going on. Join me in wishing them both the best of luck in their new roles!